Let your clothes make a statement even when they're not being worn. Rather than hiding everything away in cupboards and drawers, you can showcase form and function by displaying your favourite vintage scarves, a collection of designer jewellery or colourful items that you cherish and create a stylish feature. If you can't see it, you probably won't wear it. By organising your wardrobe thoughtfully and stylishly, not only is it easier to create a cohesive look, but you are less likely to forget about that top that has fallen to the bottom of the drawer and hasn't seen the light of day since it was bought. 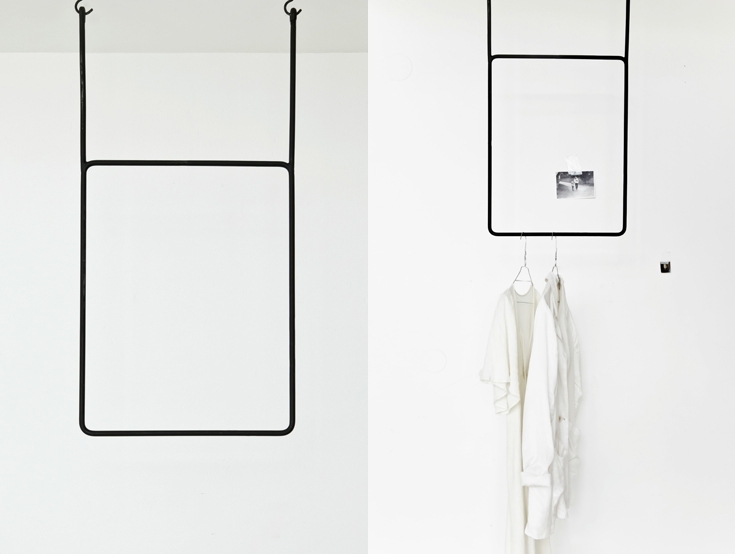 These unusual clothes rails come from Annaleena, a Sweden-based freelance interior stylist and conceptual creator. By using these hand forged iron rails, you can curate your wardrobe and your favourite pieces will take on another life as everyday works of art.